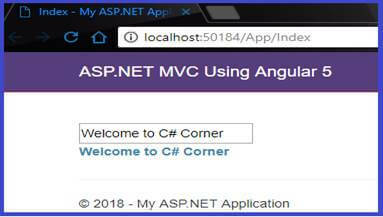 In this article, we will learn how to integrate Angular 5 with ASP.NET MVC and simple data binding using Visual Studio. Angular 5 is mainly introduced for faster, lighter & easier use. Several new features have been added for easy development with Progressive Web Apps & additional compatibility to material design. 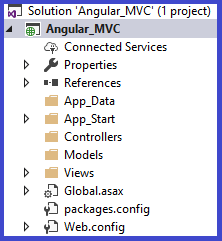 You might want some clarification on “Why we want to use Angular in ASP.NET MVC”. Angular components are the basic building blocks of Angular Apps. A component decorator includes properties that allow you to define the template, file, CSS, and many more. Open Visual Studio 2017 and go to File >New > select New Project. Enter the application name and choose the project path. 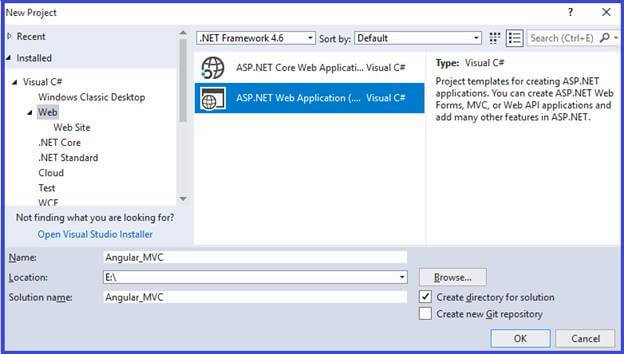 One more popup asks you to select the empty application and check the MVC. Then after finishing up, our project is ready to play. It will be a visible basic structure of MVC file. 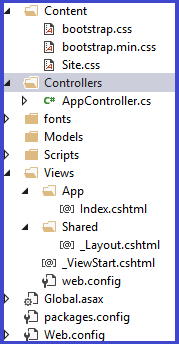 Right-click the project name and add a new Controller like AppController. Now, it generates _Layout.cshtml & Bootstrap Content folder automatically. 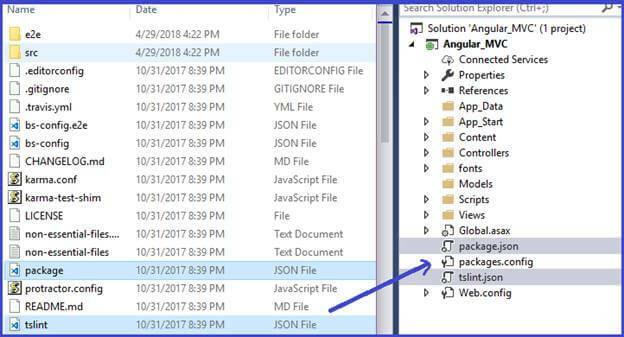 Download the Angular setup file from the Angular website and copy this files (tslint.json & Package.json) from setup to paste into the Project folder. Right-click the project name and add one new folder like “ClientApp”. Then, copy the files from “src” folder and paste into “ClientApp” folder. Follow the dependencies and overwrite from package.json. Then, right-click the file and click "Restore Packages". Change the path name from system.js to config.js. Copy and paste the below script path to _Layout.cshtml page. 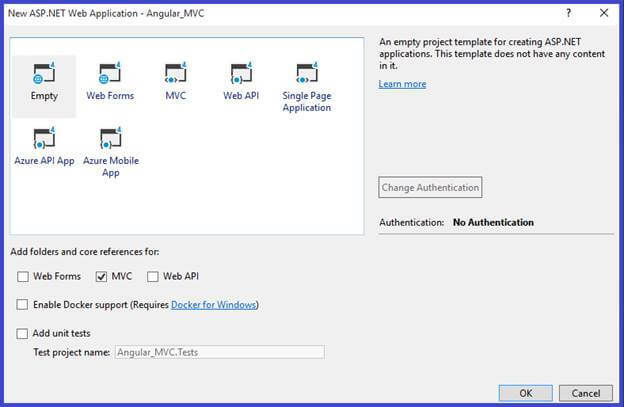 Import the Angular Forms to app.module.ts file. Write something in Angular component with binding the “name” to HTML element. Use the <my-app> component element on index.cshtml View. Download source code from GitHub. 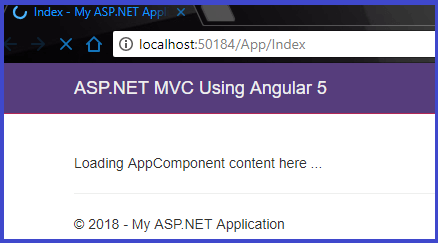 In this article, we learned how to integrate Angular 5 with ASP.NET MVC.